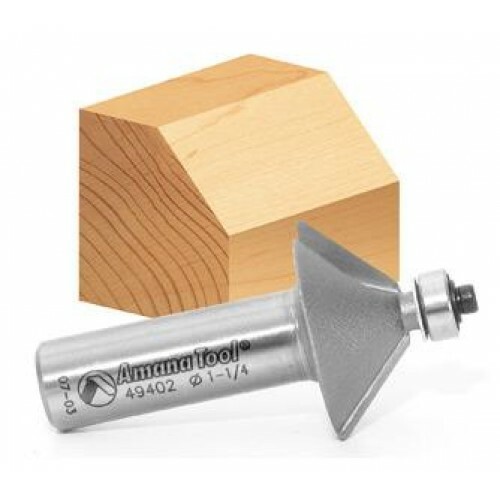 Amana Tool Chamfer Bits - With Ball Bearing Guide, Carbide Tipped, 2 Flutes. Chamfer or bevel edges for decorative effect or to form edge miter joints. Produce crisp, uniform edges at accurate angles to make 4, 6, 8, 12, or 16 sided boxes. For best results use in a router table.